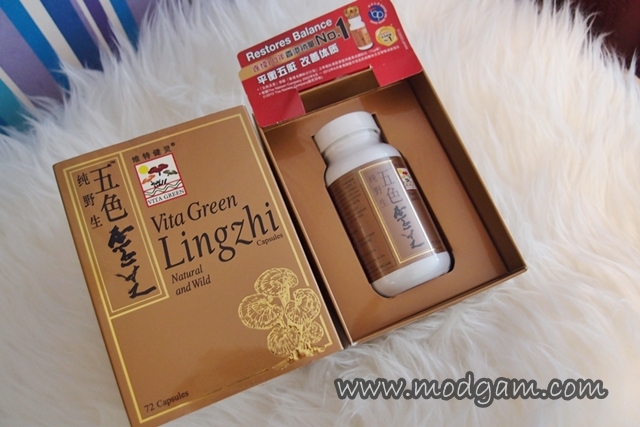 Vita Green Lingzhi – #1 Best Selling Lingzhi product in Hong Kong for 10 years! 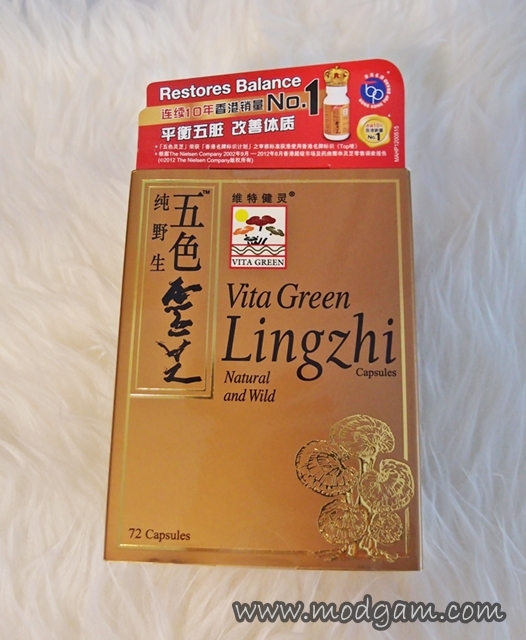 I have been taking Vita Green Lingzhi Supplements for the past 2 weeks now and read on to see why I’ve kinda become a fan of this #1 Best Selling Lingzhi product in Hong Kong for 10 years! Lingzhi is the rarest and most precious of Chinese medicinal herbs, renowned for its superb healing powers and free from side effects. Lingzhi has long been prized for its ability to strengthen the heart, boost energy, improve memory, refine the complexion, promote good circulation, restore health and lead to longevity. Why consume Vita Green Lingzhi? Recommended dosage is 1-2 pills a day. I haven’t really seen any improvement on the beauty part but I feel more energetic in the morning. I am hoping it will help reduce my allergy symptons for I have sensitive skin. 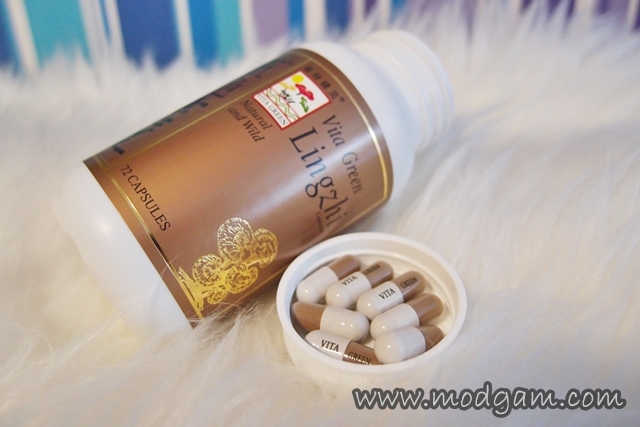 Will continue to pop these Vita Green Lingzhi till I finish all 72 capsules. You can get yours from Guardian Pharmacy at a promotional price of S$109 for Vita Green is celebrating its Singapore launch! Retails at usual price of S$129. For more information about the product, visit Vita Green website HERE! Oo those sound brilliant. We have so many mushrooms in the UK but only 2-3 varieties really make it to the market/shop shelves so we miss out on a lot of excellent nutrition and are mostly ignorant about them with people being scared that most are poisonous. but its the same here, there are a lot of varieties and there are also the poisonous ones. I have seen the real thing in Chinese Medicated Hall and they sure are expensive and look kinda scary. I wouldn’t imagine eating the actual thing but after processing them into pills, I wouldnt mind it at all! heheee especially since i know how good they are for my health.